This past November, NASA – National Aeronautics and Space Administration launched MAVEN in the hope of understanding how and why Mars has been losing its atmosphere over billions of years. One instrument aboard the spacecraft will study a special component of the Martian atmosphere to help solve this mystery. 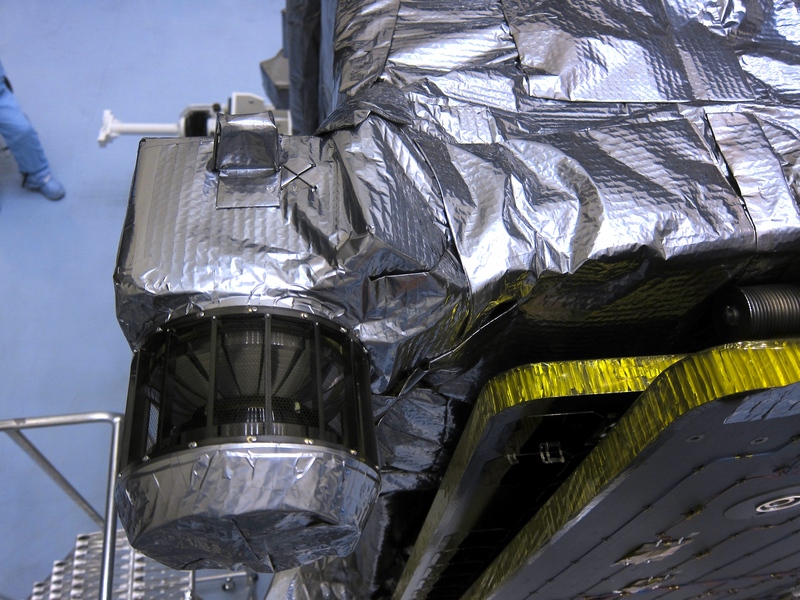 By studying ions, or small electrically charged particles, in and above the Red Planet’s tenuous atmosphere, the Solar Wind Ion Analyzer will help answer why Mars has gradually lost much of its atmosphere, developing into a frozen, barren planet. 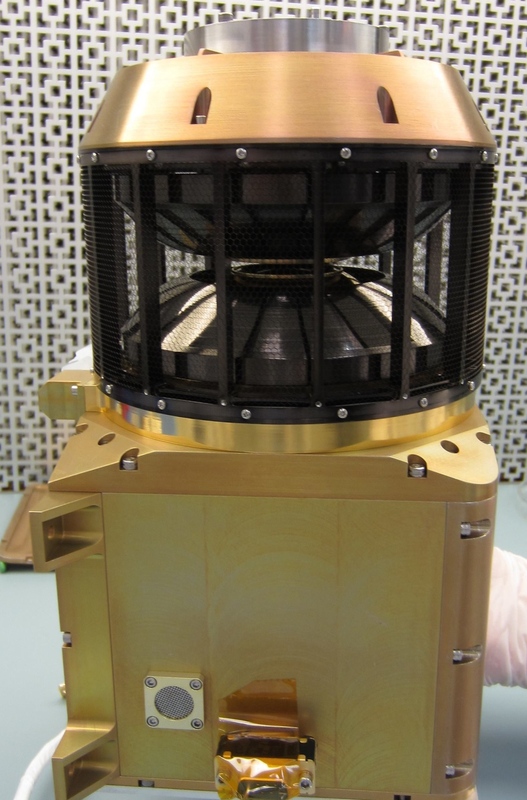 Once the MAVEN spacecraft is orbiting Mars, the Solar Wind Ion Analyzer (SWIA)—which was designed and built at the UC Berkeley Space Sciences Laboratory (SSL)—will spend much of its time measuring the ions in the solar wind. Released continuously from the sun’s atmosphere, the solar wind travels toward Mars at speeds around a million miles per hour, carrying with it a magnetic field that originates inside the sun. It is composed of charged particles that interact with neutral gas particles in Mars’ upper atmosphere, giving them the ability to escape from Mars’ gravitational pull. Scientists think the interactions between solar wind ions and Mars’ atmospheric particles are a key factor allowing the particles to escape, a process that gradually strips the planet of its atmosphere and has done so for billions of years.